Elemental rage, bloody Greek myth, man's greed and capacity for cruelty, the insane imaginings of a killer, all intermingle in this stunning new thriller from the bestselling author of Messiah to create a novel of stunning ferocity. Elemental rage, bloody Greek myth, man's greed and capacity for cruelty, the insane imaginings of a killer, all intermingle in this stunning new thriller from the bestselling author of Messiah to create a novel of stunning ferocity. 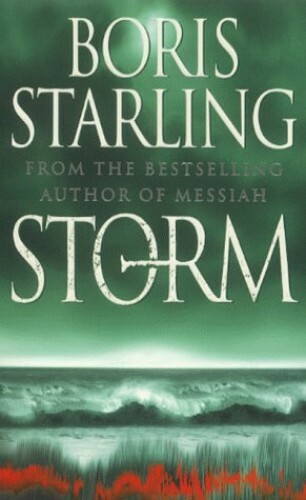 A storm-tossed crossing on the North Sea; a catastrophic ferry accident; hundreds dead. Detective Chief Inspector Kate Beauchamp is one of the survivors but her ferocious fight to stay alive brings with it a high cost: a burden of guilt that she should live while some of her friends died; a terror of water; a frozen inner core that never seems to melt. When the body of a young female journalist is found in Aberdeen soon after the disaster, Kate insists on conducting the investigation -- partly to exorcize her own demons, partly because she feels a strange affinity with the victim. The killing is peculiarly brutal and the murderer has left a unique calling card: attached to the woman's neck is a poisonous snake. Into this emotional cauldron steps the last man on earth Kate wants to see -- her estranged father, Frank, in Aberdeen to conduct the marine inquiry into the sinking. Was the disaster the result of a bomb, as claimed by the ferry-line's chairman, or is he trying to hide something? In a sweltering heatwave, Kate and Frank conduct their highly pressured investigations. But for both of them, danger is approaching fast -- a vortex of violence which will sweep them up and endanger their very lives.